South Korea's Shin, Dong - Joon called. 11 years old. Held in December last year after performing harder exercises. Kenny G dongjun dream is to play with it. You are my son's dream and hope. Thank you. Hi Kenny. I have your fan since 1993. I have written lyrics to two of your songs, Loving You and Theme from Dying Young which I titled Never Die. I really wanted to communicate with you so that i can share these lyrics. Here's to the song Loving You. I will try to record and send it also. Do you know that I love loving you? kenny g- thanks for making my day awesome! you're epic!!!!!!! I missed your concert in Greensburg PA. My daughter & her fiance went and said your concert was fantastic. I certainly hope that you come back so that I can see you this time. You are the best. By the way, my daughter will be dancing to your music "Forever in Love" for her first dance with her husband on her wedding day. 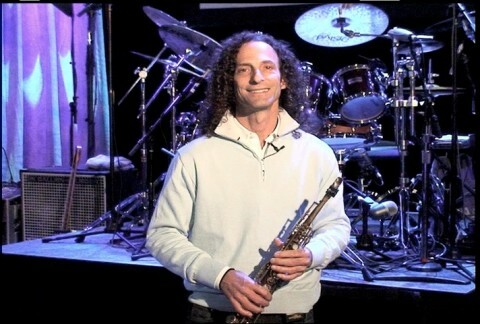 I love Kenny G ever since I was 7 I listened to KKSF and enjoy all of his songs. I love Songbird, Going Home, Loving You, Havana, Everytime I close my Eyes with Babyface and lots more I attend Jazz in the Plazz in Los Gatos CA and hope Kenny can perform in Los Gatos CA. Would love to meet him. Hi Kenny! My name is Francesco and I'm italian. I've just bought your last CD, Heart and Soul. It's amazing as you are! I'm waiting your coming in Italy! Thank you! Sorry for my english! I took my Mom to your concert in Greensburg, PA. We loved you and your band. It was the best concert we have ever seen. We hope you come back next year. You have so much talent and we enjoyed ever second of the concert and did not want it to end.